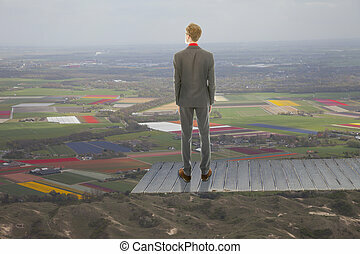 Decision business man looking at success road. 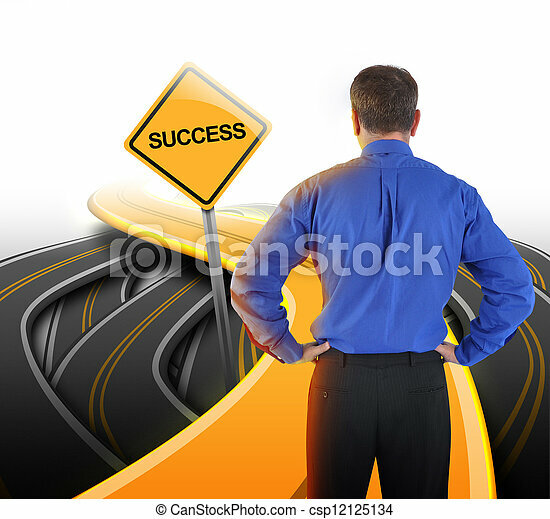 A business man is standing in front of a golden road with a yellow success sign to represent his path decision. 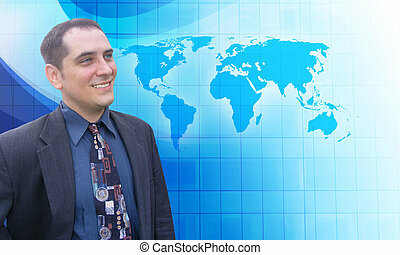 A business man is standing in front of a golden road with a yellow success sign to represent his path decision. 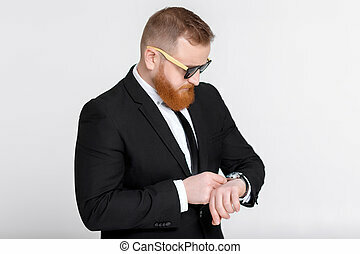 Business man looking at watch on his arm. 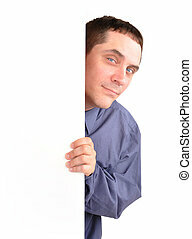 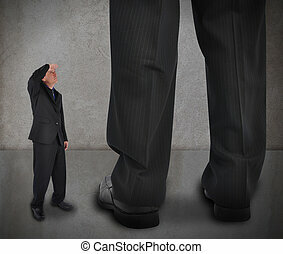 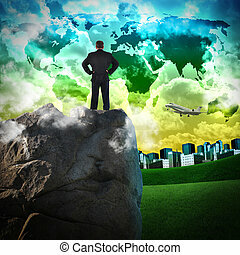 A small little business man is looking up at a large big boss on a textured background. 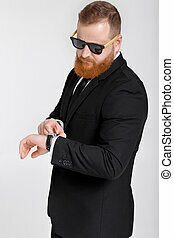 Use it for a power or challenge concept. 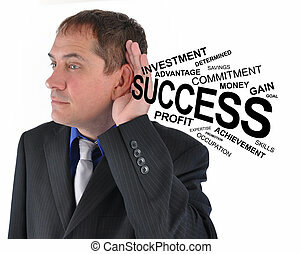 A business man is listening to success advice on a white isolated background. 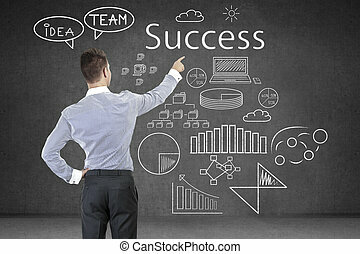 There are other goal words. 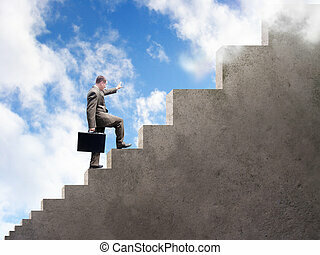 A business man is climbing up stairs that get larger and larger. 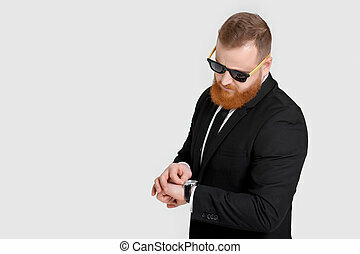 A cloudy sky is in the background. 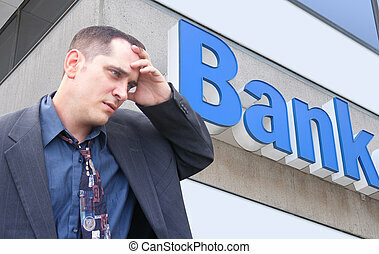 A business man is standing in front of a bank and looks stressed and worried. 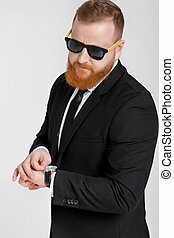 Can represent finance, the economy, or an investment theme. 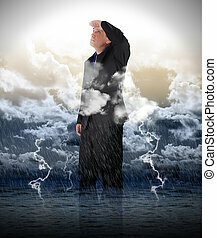 A business man is looking up to bright light in stormy weather for a strength, success or faith metaphore. 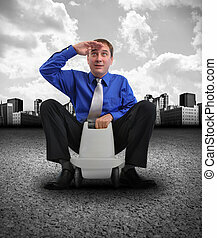 A business man is looking forward and sitting on a toy car on a road with a city and clouds in the background. 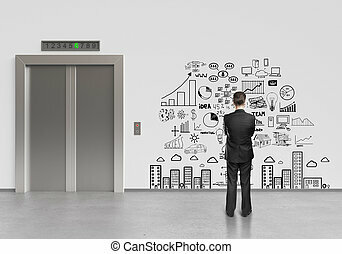 use it for a vision or energy concept. 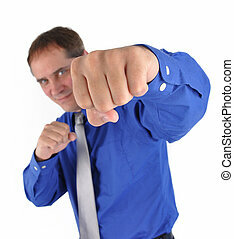 A strong business man has his fist in the air and punching the camera on a white isolated background. 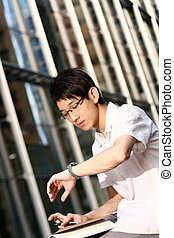 Use it for a strength or power concept. 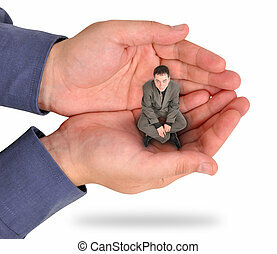 A business man is sitting in the palm of his bosses hand on a white background. 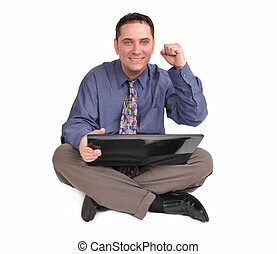 He looks unhappy and feels trapped and weak at his job. 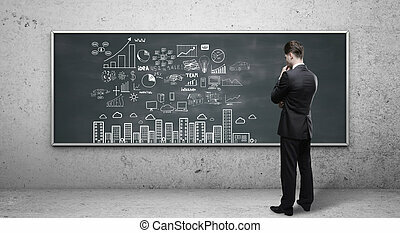 Use it for a strength or struggle concept. 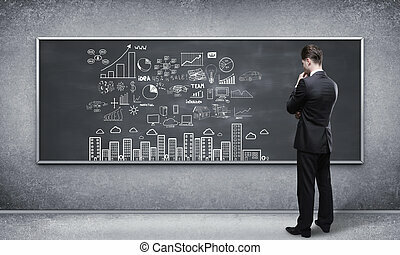 A confident business man is holding a white board on an isolated background. 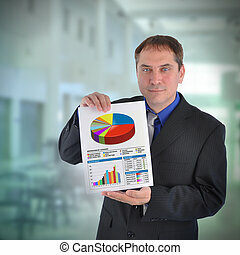 A business man is holding a paper with various bar and lines graphs to represent finance. 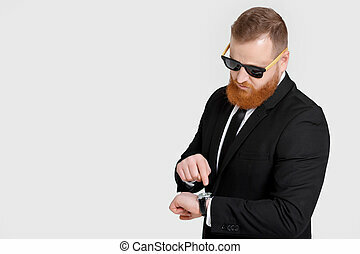 There is a faded office in the background. 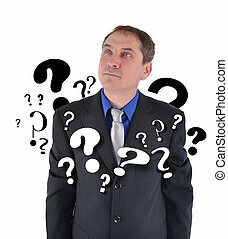 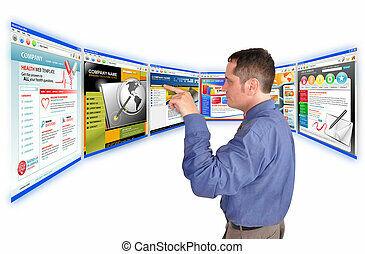 A business man is searching and pointing at an internet website and there are many web choices. 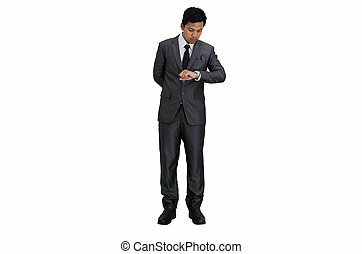 He is on a white background. 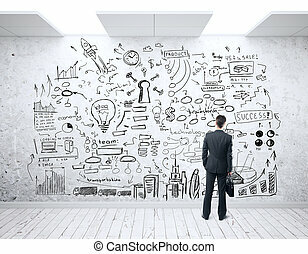 Use it for a communication, commerce or a research concept.